If there's one phrase that's risen above the constant chatter emanating from the world of advertising, its content marketing. 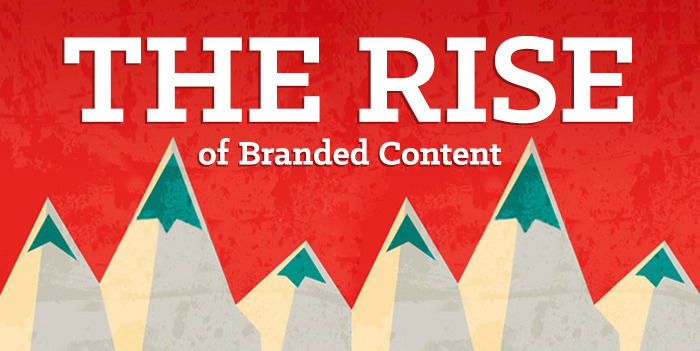 Yet despite the enthusiasm with which content marketing and branded content is being touted, its surprising to discover how few people in this region, are actually producing branded content. So what better way to kick off the new year than with a brief overview to help marketers get back to the basics of content marketing or in a few cases, to improve what they are doing. Before you do anything – including thinking about what content you want to produce – figure out why you are doing this. What needle in the business do you want to move with your content marketing? 2. Create your mission statement. If you've spent any time on the Content Marketing Institute (CMI) website, you will likely know that the one thing that separates an effective content marketer from a less effective peer is the presence of a documented content marketing strategy. 4. Decide on the primary topics to cover. While many people want to start talking about the type of content they want to create, it’s a better to follow steps one through three to get your plan in place. But, as you put your plan in place, consider the primary topics you want to cover with your content marketing. Profile your database by providing a simple survey. Delve into Google Analytics to better understand which posts and pages are resonating most strongly with your audience. Consider other data you have that provides insight into what topics interest your audience. For instance, CMI look at data related to webinar attendees, attendance at each session of Content Marketing World, the number of participants and tweets from their weekly #CMWorld Twitter chats, downloads, and views from their SlideShare presentations. Talk to people. While we don’t typically make changes based on one person’s comments alone, it’s interesting to see what trends emerge as all the user comments are compiled. 5. Decide on your content formats. When deciding what kind of content to create, one thing to consider is consistency. There are certain types of content for which readers expect a regular cadence, and there are other types that can be more ad hoc. 6. Build your channel plan for social media. What is the goal for this channel? What is the specific type of content the audience wants to get in this channel? What is the right tone for this channel? CMI are a firm believer that your content should be created for people, not search engines. But, considering the amount of traffic potential from search, it’s important to understand the basics. 8. Hire a Chief Content Officer. 9. Have a plan to communicate key KPIs. KPIs are the high-level metrics you and your management team have selected as the most critical to evaluate your content marketing program’s performance – such as the number of email subscribers earned, completed registration forms, sales increases, etc. To get continual support for your efforts, you need to communicate your progress. 10. Understand what content is and isn’t working. While understanding and presenting high-level KPIs is important for the entire team and management, it only offers so much insight. They tell you how you are doing, but they rarely provide the insights into what is working and what you need to adjust. You need to dig deeper and look at the performance of each piece of content so you can make continual improvements. 1. Audit all of the content by platform. 2. Decide which other information you want to collect, such as key audience, format, topics, place in the buying cycle, etc. 3. Figure out which KPIs relate to each piece of content. For instance, do you need to track number of email subscribers per piece of content? 4. Calculate a baseline for each metric so you can understand what is performing above or below average. 5. Update your tracking document on a regular basis.